Preparing for a big collage exhibition running from July to December. Preparing some new stuff; which means more image and less effort on writing. Here are two new TV-inspired efftorts. 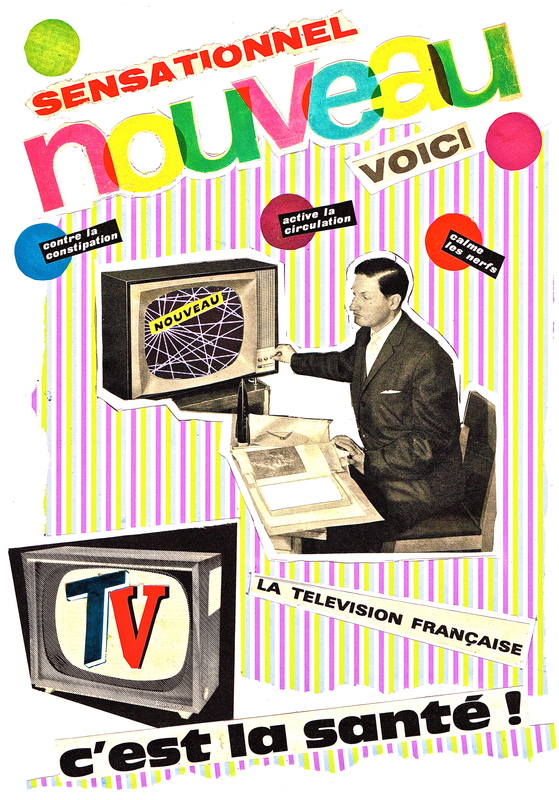 As usual culled from 1960’s French magazines. Second collage is unfinished. Happy viewing. 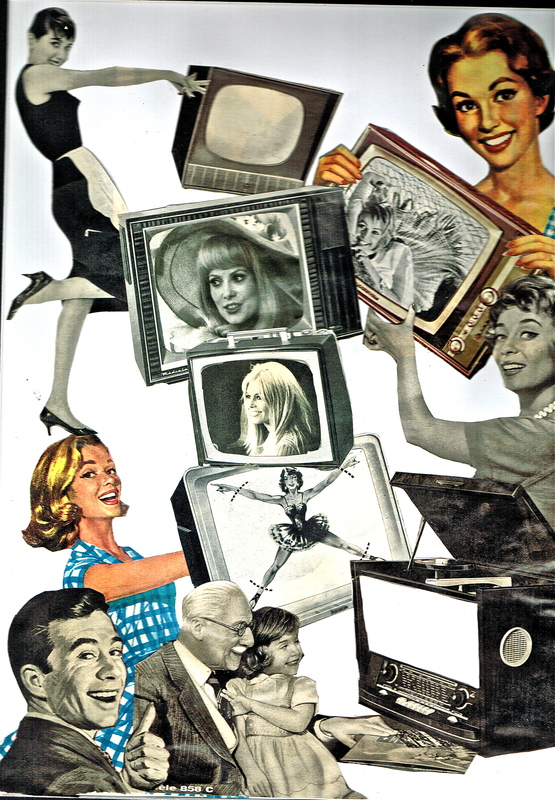 Posted in 1960s, Art, collage, Television and tagged 1960s, Art, collage, tv. Bookmark the permalink.